Save $100 off Apple's HomePod with this deal from B&H Photo Video. 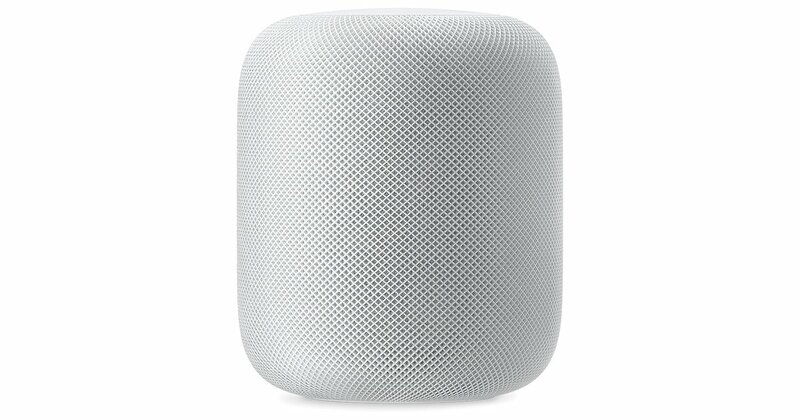 If you've yet to jump on the Apple HomePod train, now's a great time to do so. B&H Photo Video has the home speaker for $100 off at $249, compared to its normal price of $349. The smart speaker being on sale is pretty clear evidence that it isn't moving as many units as you might have thought it was, especially since it's been on sale at Target and Best Buy for a bit as well, going for $280 at Best Buy. It's currently out of stock at Target. The HomePod isn't seeing as much of a thunderous sale and adoption rate as, say, Amazon's Echo speakers or even the Google Home pods, and that's likely one reason why you're not seeing them everywhere (or maybe you even forgot about them?) in the first place. Weirdly, last month Apple announced that it would be bringing Apple Music to Amazon Echo devices, which negates the purpose of even having a HomePod, since it used to be the only speaker with direct access to the Apple Music service in the first place. The device uses a special version of iOS known as audioOS, and includes an Apple A8 system. It can use Siri to control the speaker and utilize other HomeKit devices, and you can use it to control your phone, sending texts and making calls from the same device. It does require use of only proprietary Apple platforms like Apple Music, iTunes Store, Beats 1 radio, and AirPlay. You also need an iOS 11 device for initial setup. Unfortunately, it doesn't officially support Bluetooth audio. Seems like it certainly has its share of problems. Still, if you're interested in getting a HomePod and this bargain floats your boat, it's well worth picking up if you just want another speaker added to your fleet of home products.